Happy World Computer Security Day! Happy National Security Day! Among the many official and unofficial holidays that we celebrate each year, we have to admit that this is one of our personal favorites. The purpose of this "holiday" is to bring together the international, local IT and security professionals together. In doing so the day aims to spread knowledge by having experts share their experiences and insights. 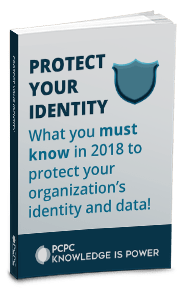 The day also aims to help other individuals acquire knowledge and gain an understanding of how to best safeguard their organization’s most valuable asset as well as information. Computer Security Day started in 1988 and has been marked for each November 30. In addition to spreading knowledge on proper security protocol the day is also used to remind people to secure their computers, networks, data, and, other tech devices. We at PCPC Tech appreciate the day tremendously but would like to urge people that waiting till Computer Security Day to be reminded of any security concerns is not an ideal situation. The best way to go about it would be to constantly remain vigilant, change passwords periodically, use common sense and scrutiny, and err on the side of being overly cautious. Waiting for Computer Security Day to roll around as your annual reminder to brush up on your operations is waiting far too long. The day has a worthy message to be proactive when it comes to cybersecurity, so taking part is in everyone’s best interests. Still, it’s useful to heed Computer Security Day whether it’s official or not. In that way, it’s much like the threats that the day is designed to guard against. Waiting to be sure a threat is official is no way to handle cybersecurity. Software and hardware need to be designed with the expectation that nefarious forces are always conspiring to compromise it, or else it’s vulnerable. The possibility of a threat needs to be managed proactively around the clock because waiting to find out if the vulnerability is official means waiting until it’s far too late. With all this being said we recommend you delete your browsing history when sharing a computer, don’t reply to emails asking for passwords or for you to click to log in. Stay protected by not sharing your personal and account information with anyone. Phishing schemes are everywhere and occasionally successfully target even the most cautious of us, any extra precautions we take could go a long way.